After it was announced the Men in Black franchise was getting a followup to 2012's Men in Black 3 that was to be a crossover with fellow buddy-comedy 21 Jump Street, it's been reported that that idea is out and a reboot is in. It was announced back in April 2016 that Sony Pictures was moving forward on an MIB/21 Jump Street crossover that was then titled MIB 23. The film was meant to be a direct sequel to MIB 3 and 22 Jump Street, which starred Jonah Hill and Channing Tatum, and even had a screenplay written by Rodney Rothman, who wrote the 22 Jump Street script, but it seems that has since been scrapped. 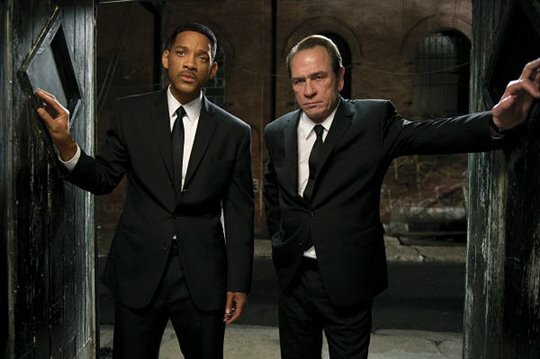 Instead, the next film in the MIB franchise will be a reboot (sans Jump Street) and will feature a whole new cast, though one can guess franchise originals Will Smith and Tommy Lee Jones might make a cameo under the right circumstances. The film also has added two writers to its roster -- Art Marcum and Matt Holloway -- who previously co-wrote films such as 2017's Transformers: The Last Knight and 2008's Iron Man. Your first thought is usually the correct one...joking. It was moronic. Even a re-boot is stupid. Talk to Christopherr Nolan and get more original stuff up on the screens!